Call 801-449-1409 for the help you need. 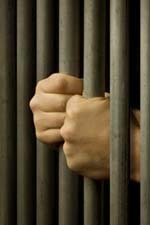 A plea held in abeyance in a Utah criminal case can provide a way to stay out of jail and have your case dismissed. As a criminal defense attorney in Utah, Stephen Howard has obtained plea in abeyance agreements in cases where his clients faced first-degree felonies with the potential for life in prison, as well as for clients who were first-time offenders facing misdemeanor charges. Under Utah law, a plea in abeyance requires the agreement of both the prosecutor and the judge. A plea in abeyance may not be possible in every case. But having an experienced criminal attorney on your side with a track record of negotiating pleas in abeyance in difficult cases can improve your chances of the resolution you need. The goal of entering into a plea in abeyance agreement is to have your case dismissed. If you enter into a plea in abeyance in a Utah criminal case, the judge may require you to comply with certain conditions (similar to being placed on probation). Failure to comply with the conditions given by the judge can result in a conviction being entered. But fulfilling all of the conditions of the plea in abeyance will result in dismissal of the charges. Thirty days after your case is dismissed, you are eligible to have the entire case (including any arrests, police reports, and jail booking information) expunged from official records. If you are facing criminal charges in Utah, having an experienced and aggressive criminal defense attorney on your side can be vital to achieving a successful outcome. Contact Stephen Howard now to find out more about how a plea in abeyance may help you.